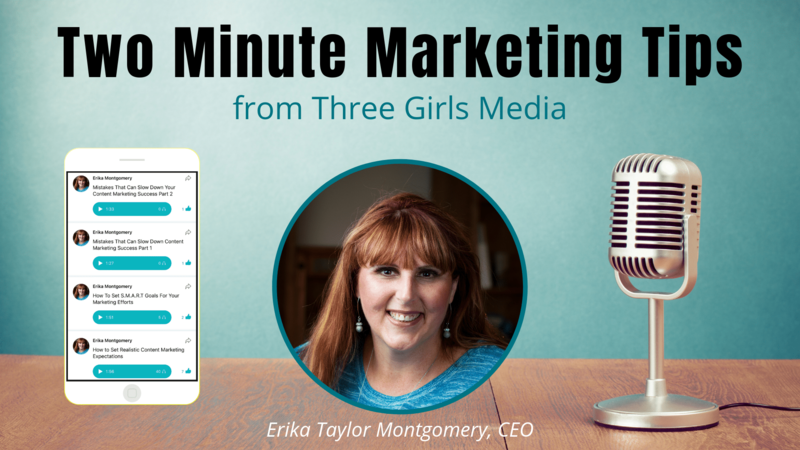 Three Girls Media CEO, Erika Taylor Montgomery, is dispensing nuggets of marketing wisdom in her new micro-podcast, Two Minute Marketing Tips. This week she’s exploring the every-changing formula that is search engine optimization (SEO) with some helpful tips on how to make your content easily discovered! Or you can download the Chirp micro-podcasting app for iOS in the app store.